I don’t cook a lot with coal. On my small offset I’ll toss some in with wood but it’s been years since I’ve used only coal to cook. 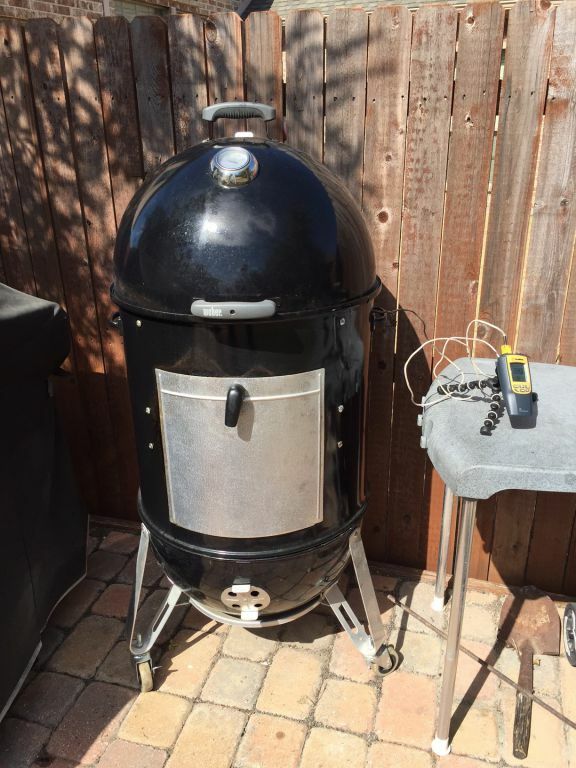 I also don’t own a bullet or kettle style grill/smoker like those sold by Weber but have been interested in some of the tricks to producing a quality product with them. 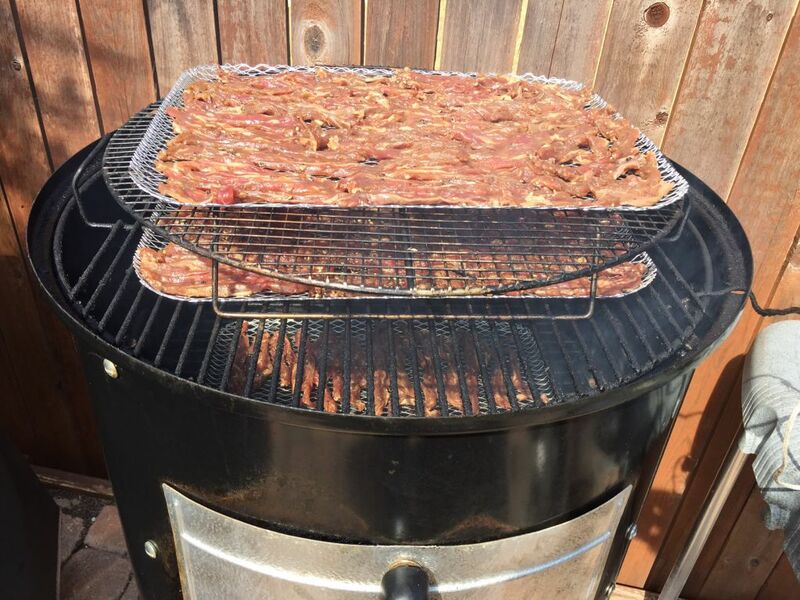 I’ve only made jerky with an indoor dehydrator before so my curiosity was piqued when I saw barbecue buddy Tom Wheeler ( @Tom_FtWorth) post some pictures of his first effort. 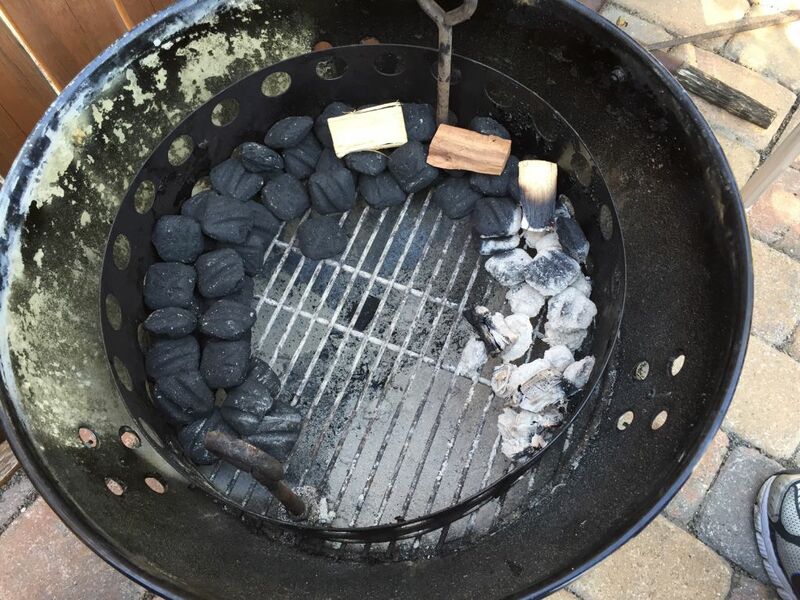 One of the benefits of the charcoal snake is a long cool burn that needs no attention. I asked Tom if he could do a guest post here and below is Tom’s take on the process, thanks to Tom for the write-up and the photos! I’d seen a few other posts about setting up a snake of coals, but this one tied it specifically to the low temps required to smoke jerky. 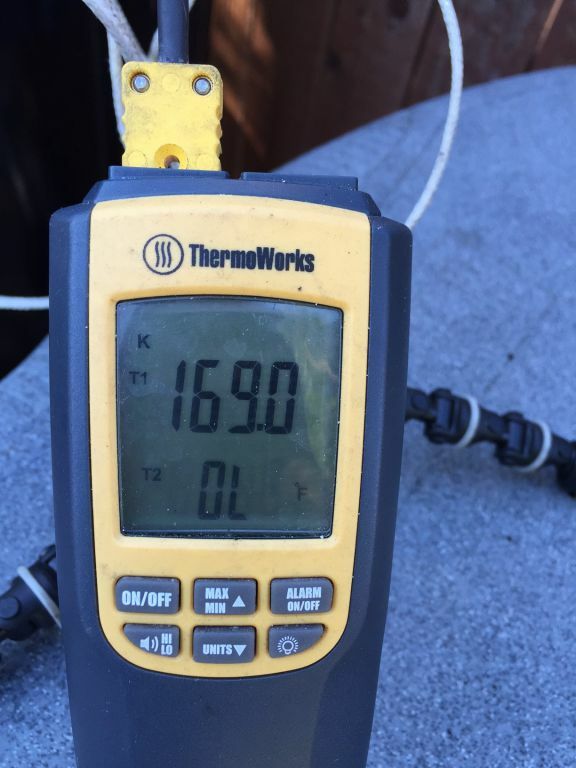 Per my “Weber’s Smoke” book recipe (by Jamie Purviance), I was targeting approximately 170°F at the meat level. Since it was my first try, I used flank steak (expecting utter failure, didn’t want to spend too much…). This turned out to be OK, but not for a 7 hour smoke. I need a thicker cut of meat for that – this ended up being a little too dry. It is tasty jerky – just requires a drink nearby! 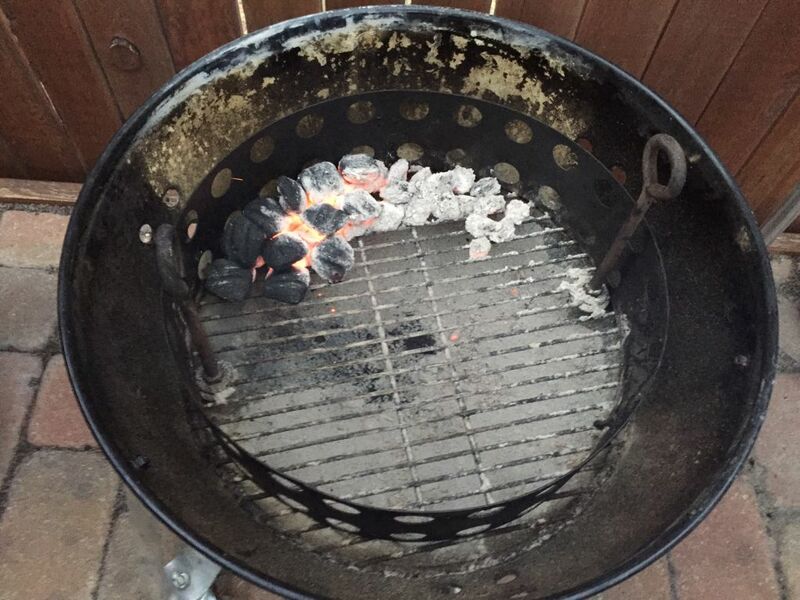 I setup the coals about 3-4 “deep” into a snake around the WSM ring, filling about 5/6 of the circumference. I was not as neat in the placement as Cliff’s setup, but the effect is the same. 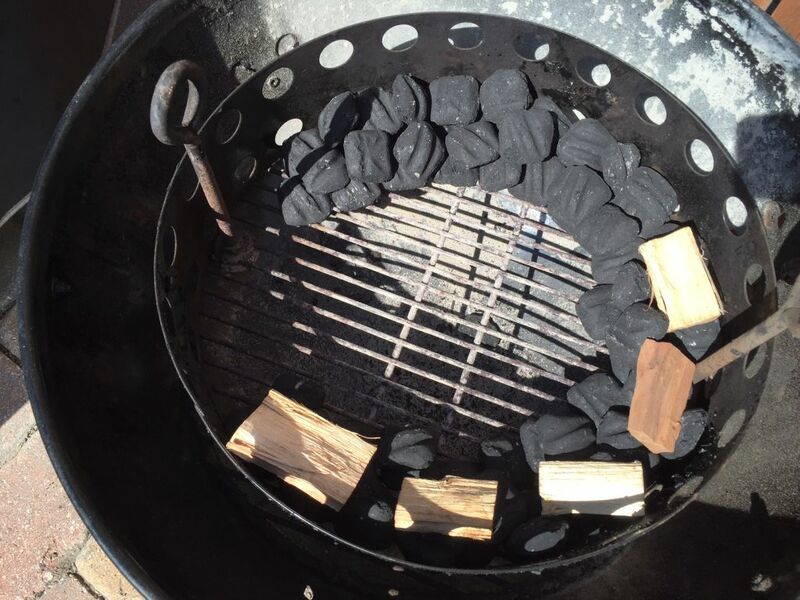 Chunks of hickory were placed evenly around the first half of the snake, as the smoke was only required for the first 3-4 hours, and plain coal heat for the final drying portion. I lit 8 coals in the chimney and once ready, transferred them to the starting end of the snake. I used my big welder’s gloves to place them closely beside the unlit coals so that they would catch. There was a slight breeze and outside temperature between 75°F and 80°F. 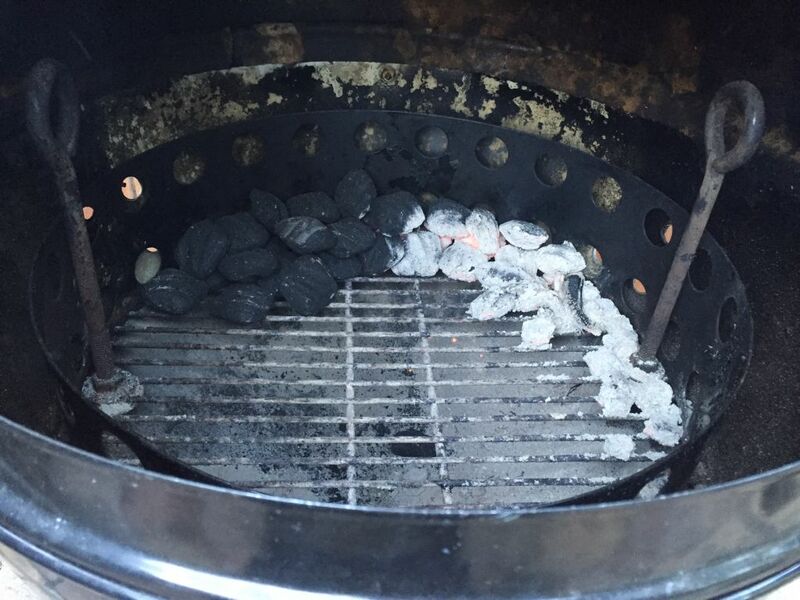 Initially, I ran the lower vents at ½ (top vent is always full open), but could only get about 150°F after 1 hour. I opened all the lower vents full, and the temp creeped right up to 170F and held there. 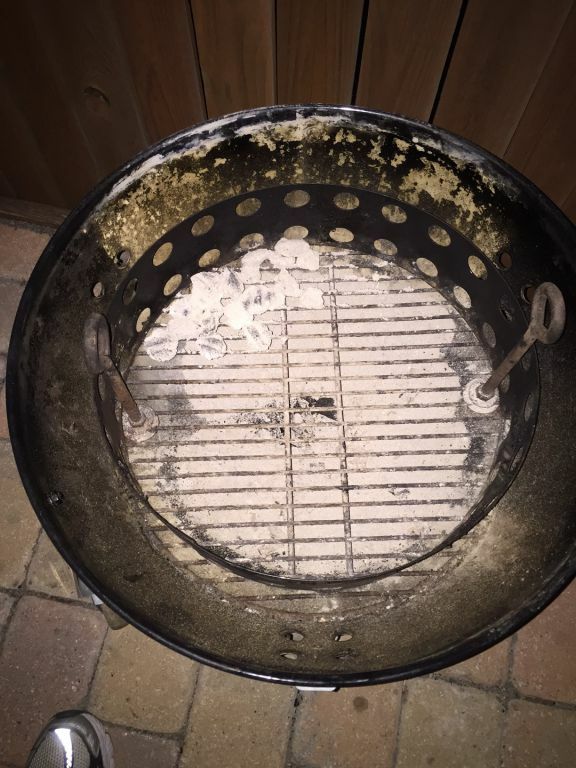 I took the body of the WSM off at intervals in order to document the progress of the snake. It was really amazing to not have to fool with it whatsoever – it burned exactly as I had hoped and lasted the full 7 hours. During the last hour, the temperature actually rose a bit to 185°F for some reason. Overall, I was very happy with the “snake” and its ability to hold a steady temperature over such a long period with zero maintenance.